Chemistry is the study of matter, matter being anything that occupies space and has mass. As a central science, chemistry underpins much of the efforts of physicians, scientists and engineers utilize to improve our world. This usually involves the study of the interactions of atoms and molecules. An experimental science, Chemistry is divided into five sub-disciplines: Analytical, Biological, Inorganic, Organic and Physical. These are of fundamental importance to a diverse array of possible careers. Everyday materials found in every corner of your home; medicines, foodstuffs, agricultural supplies, plastics; all come from chemistry. Even your thoughts, emotions and basic bodily functions are due to chemical reactions. Chemical reactions are also directly involved in the causes and prevention of pollution and global warming, not to mention chemical and biological weapons. For example, did you know that Teflon was developed by Chemists as part of the Manhattan Project? A degree in Chemistry is the foundation from which other disciplines arise. Students will learn the theory behind and obtain practical experience in chemical analyses, organic syntheses & drug design, the biochemistry of body systems and disease states, and advanced materials & catalysis. Chemistry 40S, Pre-Calculus 40S, Physics 30S (Physics 40S preferred). Medicine, Dentistry, Veterinary Medicine, Pharmacy, Medical research, Basic Science Research, Forensics, Pharmaceuticals, Environmental consultancy, Engineering, Petroleum and Mining industries, Patent Law, Biotechnology, Brewing, Teaching, Agriculture, Atmospheric science, Nanotechnology. Chemistry courses are required for medicine, dentistry, pharmacy and veterinary medicine, and a Chemistry degree provides excellent preparation for entrance to these professional schools. Prospective students should consult a departmental representative if they intend to pursue one of these areas. 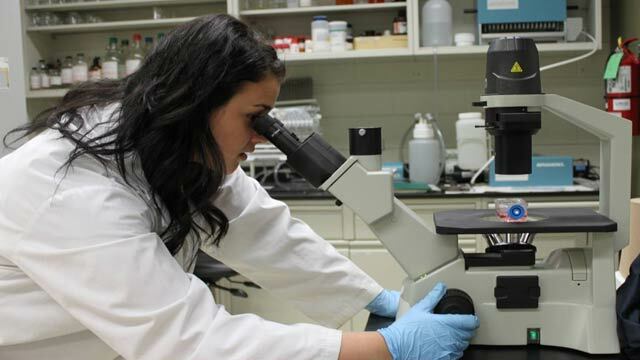 The department offers students a variety of research opportunities through summer employment opportunities, work-study programs and final year honors projects. Current research projects in the department are related to drug design and synthesis, design and synthesis of novel magnetic compounds including MRI agents, synthesis of novel catalysts for industrial processes, nanotechnology, physical chemistry, cancer, ribosome assembly and its associated diseases, proteomics, mass spectrometry, informatics, cell signaling and food security.